The Commercial Eco Recycling Bin is an alternative sustainable method of recycling food waste versus the traditional dumping of food waste into landfill. This positive action directly reduces greenhouse gas emissions (specifically Methane which is caused by rotting organic matter). Each kilogram of food waste dumped into landfill produces 900grams of Methane (primary greenhouse gas or Carbon Dioxide equivalent CO2e). 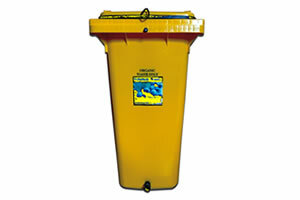 The Commercial Eco Recycling bin is designed for outdoor use in gardens, or for commercial operations. 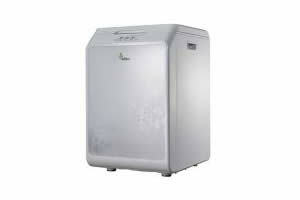 The Commercial Eco Recycling bin can recycle 100% of commercial organic waste. As the bin is airtight, there are no insect problems, and the fermentation process prevents any odour. It is designed to sit inside the kitchen or factory - and you add your food waste to it as you produce it. Each time you add waste, you add a small amount of Bokashi, then reseal the lid. Repeat this process until the bin is full - usually about 3 - 4 weeks for an average commercial kitchen. Once full, the contents of the bucket can be transferred directly into the soil of your garden, where it will break down into rich, humic soil within 4 weeks. The Commercial Eco Recycling bin is available in 2 sizes – 120 Litre and 240 Litre and comes as a kit including full instructions, and 5 Litre bag of Bokashi. Eco-Earth is an onsite food waste recycling system that is revolutionary in application. Eco Earth processes food waste into usable compost/fertiliser within 24 hours. Eco Earth is a great asset to any business that is looking toward long term sustainable practices and committed to improving their environmental credentials. Eco Earth will assist any business in meeting their environmental planning targets by; reducing organic food waste being dumped into landfill directly reducing Green House Gas emissions (GHG-e) Methane. Dimensions - Height 600mm x Width 400mm x Depth 450mm. 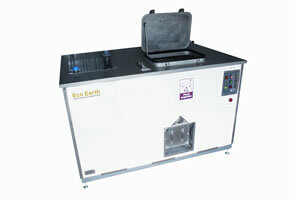 Eco-Earth is an onsite food/organic waste recycling system that is revolutionary in application. Eco Earth processes food/organic waste into usable compost/fertiliser within 24 hours that can be used to improve plant yields completing the sustainability cycle. Eco Earth will assist business in meeting their environmental planning targets by; reducing organic food waste being dumped into landfill directly reducing Green House Gas emissions (GHG-e) Methane.